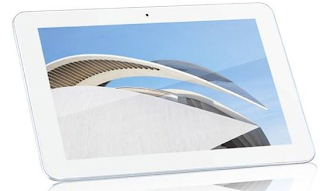 ViewSonic has just brought a new addition to their range of tablet devices, the new ViewSonic 100Q Android 10 inch tablet which is powered by a RK3188 CPU. Although the resolution has not yet been mentioned it comes with a high definition IPS display and measures about 8.5mm thick. The new ViewSonic tablet is expected to start selling late this month for about $230.